Never read books on archery. Never criticize another persons technique. Part 1: explore Tada Sensei’s samurai ancestry and his encounters with Shotokan Karate Founder Gichin Funakoshi. Part 2: find out how Hiroshi Tada met Shin-Shin Toitsu-Do Founder Tempu Nakamura. Part 3: discover Tada Sensei’s thoughts on “telepathy” training. Part 4: read Tada Sensei’s thoughts on Japanese Budo and Kata training. Part 5: learn about the most influential person in the history of Japan, and their relationship to Japanese Budo. 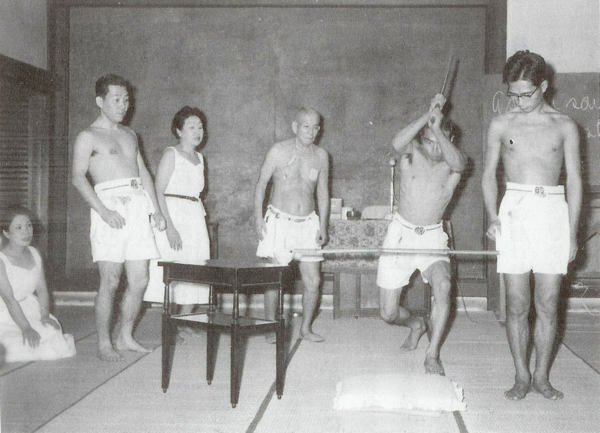 You may also be interested in “The Day I Entered Ueshiba Dojo“, in which Hiroshi Tada recounts his first encounter with Aikido Founder Morihei Ueshiba O-Sensei. You may notice that the tone of the interview is quite conversational. 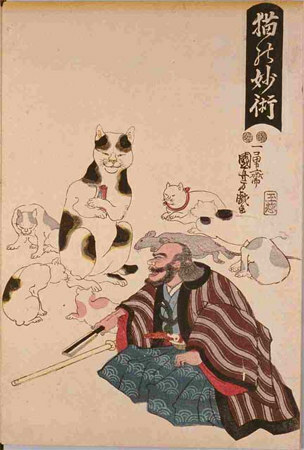 This is the way that it appears in the original Japanese – the original was not heavily edited, with the result being that the natural conversational tone was preserved. However, this also means that the discussion is sometimes less focused then a more heavily edited interview would be. Tada: First was Kokyu-ho. Sitting in seiza, matching with the sound of the bell, chanting lines from Shinto prayers with the voice of your entire body. In time, when you became tired and your voice died – “wham”, you would be hit on the back from behind. When that happened your voice would work again. (laughing) Well, if you could do that every day for ten hours at a time, starting on Thursday and continuing until Sunday, then you could become a member for the first time. At that time I was training in both Karate and Aikido, so I was physically strong. However much I did anything I would not become tired, but I would go numb to the upper edge of my navel. Because we were sitting in seiza. Even then, there was something quite mysterious – although my back was struck hard enough to raise bruises, when the training was finished my entire body felt alive, and my skin would be glowing. It is the same when you continuously do a type of Kokyu-ho that purifies the mind and body. I didn’t understand at all at the time, but your voice and the act of swinging the bell are assimilated in the same manner. Uchida – didn’t you ever go? Tada: The leaders here (Gessouji Dojo / 月窓寺道場) all go there! From Jiyugaoka maybe only Aki Kobori (小堀秋) and Ryouzou Hirose (広瀬良三). Foreigners also go, and Mr. Masumori Aoki (青木増盛) started to go after he turned 65. Women go as well. It’s fine. If you jump right in it’s not as bad as the people on the outside say that it is. Tada: They aren’t much different. You could go so far as to say they are exactly the same. I have never had any problems. Uchida: In a recent paper I wrote that Europeans have different physical sensations than we do, and that their method of using their bodies is also different. Their names for the various body parts are also out of sync. 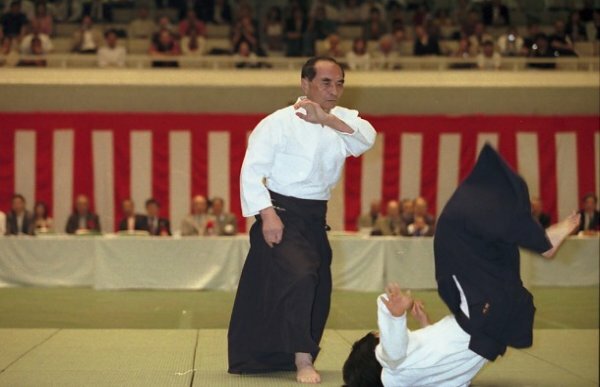 So for example, when teaching Aikido to Americans, some types of movement are extremely difficult for them to pick up. What are your experiences with this? Tada: Completely different. Outside of Hombu Dojo, I have also trained with students in Aikido groups from the Defense Agency, Keio University, Waseda University and Gakushuin University, but it is no different from that. Uchida: No, no. This discussion is a revelation to me. I’m sure that your perception of the body sees much more deeply. Is there some kind of basic body operation that is common internationally, to all people? Tada: In the beginning I did not understand the language very well. I would always walk around clutching a small dictionary from the university bookstore. In any case, in training and in other things everybody would imitate whatever I did without question, so even in everyday life I always had to be on my guard! As I discussed previously, in Venice in 1968 we began the most difficult kind of training, the nature of freedom of the spirit (とらわれない心) and Anjo Daza (安定打座). What cannot be understood concretely, through a concrete method, cannot be trained. Of course, in Italy more and more new members would come for Ki no Renma. There was not even a little resistance. It was the same whether we practiced Ken, Jo or Kokyu-ho. Uchida: It is intriguing that you attracted so many Italians like that, what were they looking for when they came? Uchida: So, did they quit? Uchida: I was the same way. (laughing) Regarding the Eastern spiritual culture, where there some who knew of it ahead of time and were attracted to it? Tada: There was a professor named Mergé (Note: Salvatore Mergé). I wrote about him in the Aikikai d’Italia pamphlet “Founders of Aikikai d’Italia”. During the war Mergé was attached to the Italian Embassy in Japan. 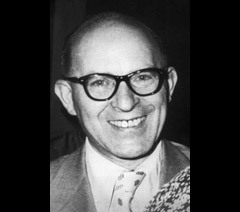 After the war he returned to Italy and became an instructor in a school for Eastern languages. 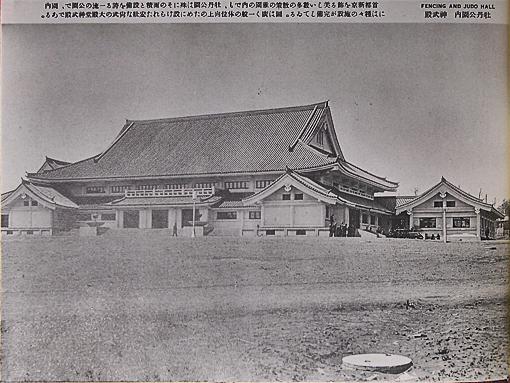 While Mergé Sensei was in Japan he heard of Aikido and went to visit Ueshiba Dojo. However, he was told that he would not be allowed to enter the Dojo. At that time two introductions were required in order to enter Ueshiba Dojo, and no foreigners were allowed. In spite of that, Mr. Mergé sat outside the dojo every day until he was allowed to enter. 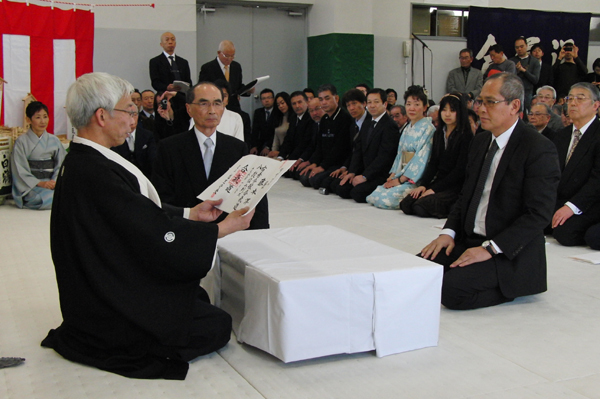 He gave great thanks and respect to O-Sensei. He was the first person to speak of O-Sensei in Italy. The Japanese language school students who heard him speak were the first to enroll. On top of that there was a famous scholar of Eastern studies and translator of the “Upanishads” into Italian, Professor Filippini, who heard my explanation of Aikido and immediately stated, “Aikido is not a sport, Aikido is Japanese culture, moving Zen”. This was translated into Italian by Daniela Marasco (member of Gesouji Dojo) from what I wrote in “Founders of Aikikai d’Italia” (イタリア合気会を創った人々) for “Aikido Tankyu”. Uchida: It’s an impressive foundation. Tada: The official name of the Aikikai d’Italia is the “Associazione di Cultura Tradizionale Giapponese” (日本伝統文化の会), authorized as a non-profit organization, number N.526, by the President of the Italian Republic on July 8th 1978. It’s really quite something to be recognized as an Italian government organization. It’s one thing for Japanese people to create an organization that promotes Japanese culture and think about applying for recognition as a government corporation, but such permission is not often received. Uchida: However, it is an impressive foundation. Tada: Currently there are around 5,000 members, it was created through the yearly dues paid by the membership. In foreign countries, since this kind of organization does not receive any kind of external funding to support the expenses incurred for its maintenance and development, independence is achieved through the considerable yearly fees paid by the membership. Such feelings of enthusiasm for the association are strong. 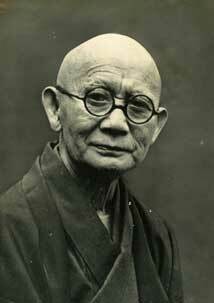 Uchida: Other than those associated with Mergé Sensei, what kinds of people came? Tada: Well, there were many different types of people. Of course, many people had an interest in Japan. Doctors, lawyers, students, and those related to physical education. Ballet dancers, people who saw the demonstrations, and those who came via introductions. If I had to say, most of them were intellectuals. This is just related to Aikido, it is the same in any country. Uchida: Why is that so? Tada: Isn’t that because they come after hearing the rumors of Morihei Ueshiba Sensei, reading some of the books, and knowing something about what Aikido is? Also, Aikido has a particular rhythm. 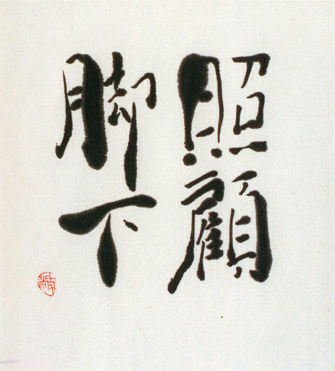 The foundation of this rhythm is the free spirit (とらわれない心), and they get a strong sense of this. 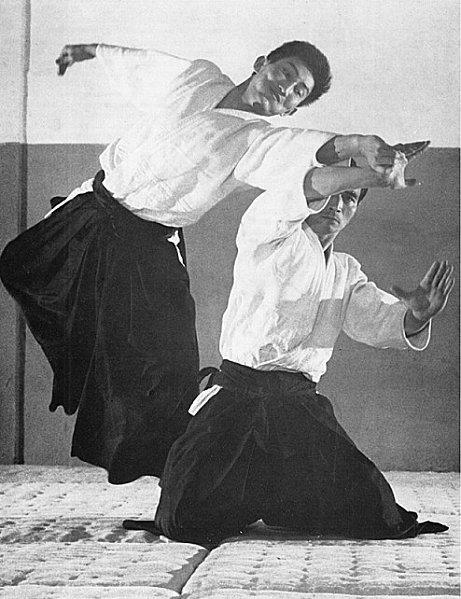 After watching a demonstration, a university professor said, “To me, it seems that Aikido is the same as music”. Uchida: What kind of mental attitude do you ask for in your students (deshi)? Tada: Well, there are many different classes of students. I can’t summarize it in one word. Not everybody will become a professional. There are also those who practice to some extent as a health method. However, you cannot keep looking here and there. Long ago, when my father began to study archery, my great-grandfather warned him of two things. “Never read books on archery. Never criticize another persons technique.” – those two things. “Never read books on archery” – in large part this is because it will lead one to doubt. For example, “My Sensei said this, the other Sensei said that. It’s completely different. Which one is best? Perhaps if I take the best parts of both methods…”. This is a prime example of someone who will never improve. Uchida: I don’t think that there are many books about Aikido. Tada: Books are for people who have already learned so that they will not forget, or for people who only see a teacher once a year, a reference for those kinds of people. First of all, you will never get better by reading. Uchida: What about when various experienced people discuss an art, for example, a book on the theory of an art, how about something like that? Tada: Something like that is fine. However, if you make a mistake in how you read it you will be, as they say, “bitten by the secrets” (極意にかぶれる), in the past those kinds of books were disliked. Tada: Also when training in Aikido, if you are not careful sometimes you “leap over” something. At the time when a beginner should be doing solid training they try to do something that is only possible for an adept, and ruin their training. In the end, the basics become a mess. Oshou-san (the chief priest at Gesouji) wrote “Kyakka Shouko” (脚下照顧 / “Watch carefully what comes under your feet.”), “Watch your step!”). That point also gets missed. 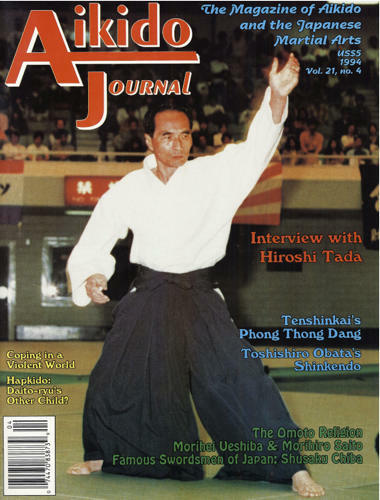 Uchida: Today there are periodicals such as “Hiden-Koryu Bujutsu” (秘伝・古流武術), and various articles on technical theory and the secrets of the arts can be read in periodical form, as a form of “Kobudo Journalism”, do you recommend that beginners avoid reading things like this? Tada: People who want to look at it should look at it. However, for those who are serious about pursuing a path earnestly this will often lead to a detour along the way. Uchida: What about someone like me? Tada: You won’t improve very much. You’ll just burden yourself with a lot of unnecessary baggage. Uchida: There is a “new wave” movement in Kobudo with people a generation or two younger than you such as Hiroyuki Aoki (青木宏之 / Shintaido), Yoshinori Kono (甲野善紀), Tetsuzan Kuroda (黒田鉄山 / Shinbukan Kuroda Dojo), and Kajo Tsuboi (坪井香譲 / Kiryuho) who are doing some interesting things. Thanks to them enthusiasm among young people is rising, what do you think of them? Uchida: What do you mean when you say “Why not?”? Tada: I spoke about this earlier, about what the traditional methods were like in my father’s time. And that was with the intention of training as a professional. There are also people who have no Sensei. The worst case is when someone wants to learn but there is no Sensei. Someone who cannot find a Shihan of their own. Uchida: If a teacher is present then one can progress without reading books or making comparisons, is that what you mean? Tada: Something like that. The same but different. (laughing) It’s not all that difficult. However, now it is extremely difficult. From childhood one would recite the Shishogokyou (四書五経 / the Four Books and Five Classics of Confucianism) and execute that mindset. I was raised in that world, but now it is completely different. Critical analysis in the modern European or American scientific style is in favor, and is how the world is raised. It may be possible for one to reach a certain point, but I wonder if the emergence of a truly great Budoka is possible or not. I think that it will be difficult. Uchida: How do you think that the path of Aikido will be governed in the future?